There is a projection about the number of years the Nigerian oil reserve will sustain the country, thereby necessitating alternative sources of revenue. President Muhammadu Buhari declared on Wednesday that Nigeria’s oil reserve estimate as per reserve has been estimated to dry up in the next 25 years to 30 years at most. To this end, the President said the focus of the government must be on gas which is also estimated to last for over 60 years, adding that his government must ensure a dramatic movement into gas production. 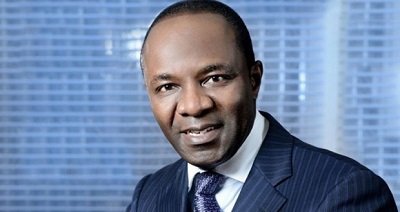 President Buhari, who was represented by the Minister of State for Petroleum Resources, Dr Ibe Kachikwu spoke yesterday at the 5th triennial delegates conference of the Petroleum & Natural Gas Senior Staff Association of Nigeria (PENGASSAN) in Abuja. President Buhari’s Keynote address on the theme: “Emerging Trends in the oil and gas industry and its impacts on Labour movement in Nigeria,” was presented by Dr. Kachukwu, who emphasized that he was representing and presenting the message of the president. He said: “As it concerns Nigeria, we must work inclusively hard to deal with some of the difficulties that we will continue to see in our production platforms. Whether it is the militants which is a key component or the slow speed of approvals or whether the fact that our policies are not even as fast as they should to catch up with changing Times. “Those of us who have the opportunity to seat in ministerial zones where we have to influence policies have got to work extremely hard to help drive the sea of change that is imperative if the sector is to survive. “Infrastructural deficit is a key component. We lack infrastructure in the sector, whether it is down stream or up stream or oil and gas. The absence of infrastructure has made it impossible to have a holistic private sector participation. We have got to find policies that will encourage private sector participants to play a key role. “Coupled with that is the fact that countries are moving away from oil. Our oil estimate as per reserve is at best about 25 to 30 years, while gas estimate is over 60 years. Clear enough, Nigeria is more of a gas country than an oil country. But what are we doing to ensure our dramatic movement into the gas production. He added: “Gas is the new horizon of opportunity. There is so much happening that needs to happen, that should have happened yesterday. Gas is the future for this country and the place to be and we need to start looking at that. Increasingly, we are seeing very strong local players. “I need to see gas flaring east out win the next three years. I like to see the refineries which is enmeshed in all kinds of confusion finally kick off. “On the issue of refineries, let me say that there has been attempt and there is no approval to concession refineries or sell refineries. I keep hearing discussions all over the place especially from people who should know better. “What we have approval for is to bring in a financing mechanism that will enable us to finance and develop and upgrade the refineries as they are. The reality is that once private sector players begin to build their own refineries, whatever we are afraid of will disappear and unless we begin to move very rapidly and quickly to position these refineries in such a way that they can compete, we will lose the refineries completely together with the job scale that exist there right now. On the emerging trends in the industry, he said the reality is that the oil industry is changing almost transformatively; while prices have tumbled and have continued to struggle despite all the works done in OPEC to boast it. According to him, “the reality is that investments are declining at an alarming rate and suddenly, there are new entrants into the industry. Also, CEOs are struggling as to where to put very scarce resources and suddenly, it is just how well you can market your country, reposition your policies in such a way that there are benefits. “All in a sudden, investment return in some of these exploration activities are beginning to get challenges. Only those who are able to look at their technology and new ways of doing business are going to survive the oil industry of tomorrow. “If you take the annual return of most of the major oil companies, you will see the sort of disequilibrium that’s happening there and those who are beginning to jump in and out of leadership.